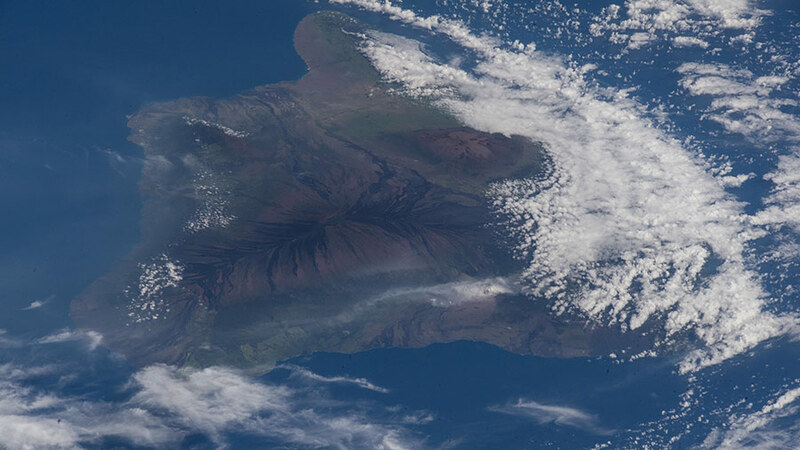 The ash plume from the Kilauea volcano on the big island of Hawaii was pictured May 12, 2018, from the International Space Station. Just got done watching the ISS traverse the sky almost directly overhead a few minutes ago from near Seattle. I saw a smaller, dimmer satellite trailing the ISS by about 5 seconds visually. Pretty exciting to watch. Had to come inside to research what I had just seen. Must have been the Cygnus on approach to the station. Wow. Didn’t know I was going to see that. Picked the right night to look up! Hi. I saw it from Sisters, Oregon. There was a flare from the Cygnus. I could see it with the naked eye.